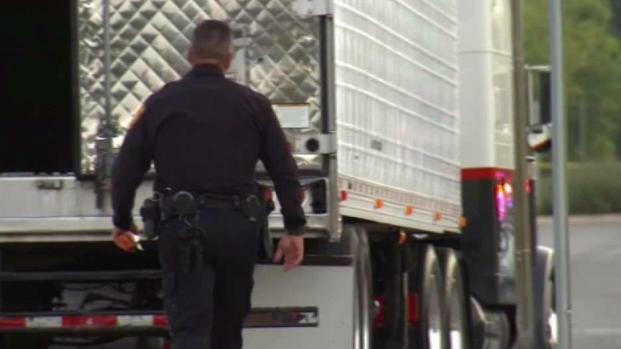 Federal safety regulators have shut down a troubled Iowa trucking company that owned the semitrailer involved in a human trafficking case in which 10 immigrants died in Texas. Pyle Transportation was placed under an "out-of-service order" Monday by the Federal Motor Carrier Safety Administration after a review found the company's safety rating was so unsatisfactory that it was unfit to remain in business, agency spokesman Duane DeBruyne confirmed to The Associated Press. 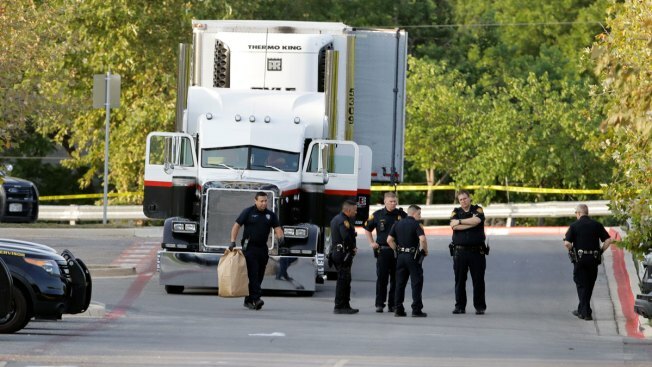 Dozens of immigrants were found packed inside a Pyle-branded semitrailer in July in the parking lot of a San Antonio Walmart. Eight people were found dead inside, and two more died after being hospitalized. The driver, James "Bear" Bradley Jr., 60, of Clearwater, Florida; and Pedro Silva-Segura, 47, of Laredo, Texas, are charged with several offenses, including conspiring to transport and harbor immigrants who are illegally in the U.S. for financial gain. Pyle Transportation owner Brian Pyle has denied knowledge of the alleged smuggling conspiracy. He has said that he sold the trailer and hired Bradley, who had worked previously for the firm, as a contractor to drive it to Brownsville, Texas, to deliver it to the buyer. Adan Lara Vega said he was told the $5,500 he was being charged to be smuggled into the United States would include an air-conditioned truck ride. 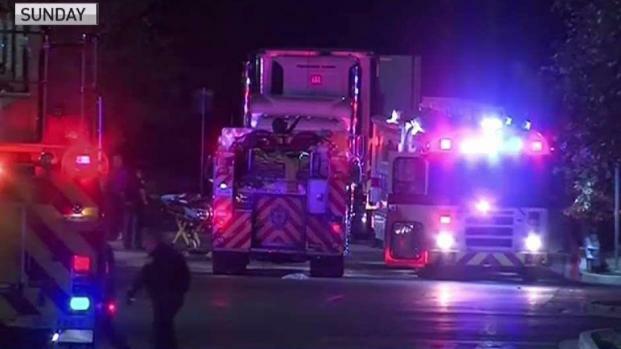 Instead, the 27-year-old Mexican laborer climbed with his friends into a pitch-black, metal tractor-trailer compartment that lacked ventilation — a deadly oven that would claim 10 lives. DeBruyne, the FMCSA spokesman, said he couldn't comment on specific findings. He said the out-of-service order went into effect after a 60-day notice period, and the company has appeal rights through the agency. A woman who answered the phone at the company's office in Schaller, a small town in northwest Iowa, declined comment. Pyle Transportation traces its history there to 1950 through three generations. The company employed 18 drivers who logged an estimated 830,000 miles in 2013, the latest for which figures were available, often hauling meat and produce to and from Texas. Even as the company faced scrutiny following the immigrants' deaths, federal data show that enforcement officers conducting inspections on Pyle trucks continued to find safety violations, from Utah to Missouri. In August and September, drivers were found to have been working beyond the number of allowed hours, failing to log their hours, carrying overweight loads and driving with tires and brakes that weren't properly maintained. A driver was cited after an August crash in Texas that required his truck to be towed but left no one injured. It's not the first time the family has faced an order to stop operating. A predecessor company, Pyle Truck Lines, was put out of service in 2002 for failing to pay a fine. The company and its then-owner Michael Pyle had pleaded guilty the prior year to federal charges for falsifying records. Michael Pyle's children took control of the business a few years later when Pyle Transportation formed.